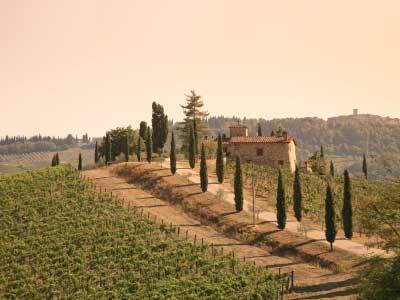 If I say Tuscany, you will probably think Chianti. 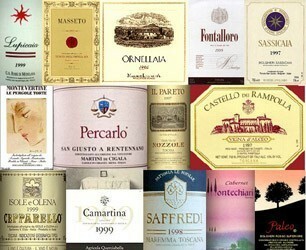 But there’s of course much more than Chianti to be found from Tuscan wines. The one I’ll focus on here is the so-called Super Tuscan: a nickname for Tuscan wine stars that rocked the Italian tables so hard they had to adjust their wine classification system to accommodate them! The term “Super Tuscan” refers to highly appreciated and innovative wines in the Tuscan region which do not meet specified growing and/or grape variety regulations and restrictions (e.g. use of international grape varieties vs local varieties only), whether by winemaker’s choice or simply geographically falling out of a legally defined area such as Chianti. You will not find a wine labelled “Super Tuscan”, as it’s not a winery, brand, or specific wine per se, rather it’s a nickname or unofficial category of wines in this region of Italy. The nickname Super Tuscan was coined in light of a lack of proper way to categorize such high quality wines before the introduction of a new quality category: IGT (Indicazione geografica tipica). Nowadays these wines are usually categorized as IGT, though some are now eligible for the DOC or DOCG designations under new laws in an ever-evolving wine industry. How do Super Tuscans relate to Chianti? Chianti, which you may think of as a wine, is in reality a legally designated wine region in Tuscany, much like the Champagne region in France and its world-renowned sparkling wine with the region’s name. Also similar to the Champagne region, Chianti wines are made up of legally permitted grape varieties with further requirements on percentages used – Sangiovese for example must dominate the blend. There are therefore plenty of strict geographical and grape/blend requirements to label a bottle of wine “Chianti”. Besides these requirements, DOC and DOCG laws regulate growing practices (for example irrigation is prohibited, except in emergencies), yield limitations, bottling and fermentation locations, etc. While the characteristic ribbons declaring DOC or DOCG classification are a marker of prestige and consistency of quality, you should by no means assume that only wines with DOC or DOCG or “Chianti” on their label are wines worth drinking. The Super Tuscans are a great example why! Why did wine-makers start making Super Tuscans? Traditionally wines that were deemed fit of a high quality classification in Tuscany, such as a DOC/DOCG or the highly recognized Chianti or Brunello, were legally allowed to be made with only some local grape varieties, such as Sangiovese, Canaiolo, Ciliegiolo and Trebbiano Toscano. Some Tuscan wine makers decided to experiment. Partly because they geographically fell outside regions like Brunello di Montalcino or Chianti, partly because they believed that they could make better wines without the creativity-crushing restrictions involved in making a DOC/G wine, and partly for the fun of it. They started to introduce international grapes like Cabernet Sauvignon and Merlot to their blends as well as tinker with the percentages of Sangiovese and other local grape varieties. The results blew everyone away, and by the late 70s these innovative red wines were commanding higher prices on the market than their DOC/G neighbors! Among the first wines considered a Super Tuscan was 1978’s Tignanello, made from Sangiovese and Cabernet Sauvignon. Where did the nickname Super Tuscan come from? Because these highly regarded wines didn’t legally meet the requirements for categories like DOC or DOCG or Chianti, they were initially labeled Vino da Tavola, or “Table Wine”, the lowest quality of wine categories, which obviously didn’t do them justice. It’s debated who is responsible for spawning the term Super Tuscan….some say the producers themselves while others say a few well-known wine critics. In any case the term was made because they (producers, drinkers, critics alike) felt that the low quality designation Vino da Tavola just didn’t cut it for these well-made and superb quality wines. Eventually Italian law had to create a new quality category, the IGT (Indicazione geografica tipica), to properly incorporate these wines which didn’t fall under high or low quality designations. The IGT designation essentially means a wine is made with grapes grown in a specified geographic area such as Toscana, Lazio, or Sicilia. They are allowed to use several international varieties like Cabernet Sauvignon, Merlot, and Sauvignon Blanc. These wines have less rules and restrictions than their DOC/DOCG/Chianti counterparts, and because of this the winemaker has more flexibility in what they create. Presently some wines considered among the Super Tuscans are now also eligible for DOC or DOCG classification in light of some legalities and restrictions being adjusted for a dynamic industry, though many prefer to keep their IGT status instead due to the flexibility (and hence creativity) this category allows them. They definitely can be….some can cost $100 or more per bottle. As is the case everywhere in the world: winemaking, viticultural practices, and market demand ultimately determine bottle price. In general and depending of course on where you are in the world, you can expect to pay anything between $28 to $70 for a bottle considered a Super Tuscan. Who are some producers/wineries that make Super Tuscans? Tenuta San Guido/Sassicaia- one of the first wineries to produce Super Tuscans and one of it’s prized wines…not for drinkers on a budget! Tenuta Sette Ponti– Another blend with international varieties and higher price tags….try the La Serena wine for a more affordable and high-scoring wine. Castello di Romitorio– near the well known Montalcino, they have been making Super Tuscans since the 1980s, that have a good deal of Sangiovese in the blend as well. Grattamacco– A long-time producer making affordable Super Tuscan blends in the heart of the Bolgheri DOC wine region, known for producing impressive wines with some international varieties like Cabernet Sauvignon and Merlot. Fattoria di Felsina– located in the Chianti region, they focus on wines made from almost exclusively Sangiovese (unlike the others above who use international varieties). Brancaia– also located in the Chianti area, they opt for blends with international grape varieties like Cabernet Sauvignon and Petit Verdot. These affordable wines have been highly acclaimed by wine critics in the past. Are Super Tuscans better than other wines in Tuscany? That, dear Reader, is up to you. It is important to note that there is a huge variation in wines considered Super Tuscans….some are 100% Sangiovese while others may be entirely composed of international grapes like Cabernet Sauvignon or Merlot. So it’s really hard to make generalizations on the quality of an unofficial category like Super Tuscan since it encompasses such vastly different wines. In the end, it’s simply a matter of personal taste….and that’s something no critic can argue with. This entry was posted in Fun, Historical Stuff, Italian Wine FAQ, Red Wines and tagged Cabernet Sauvignon, Chianti, Chianti Region, DOC, DOCG, IGT, Italian Wine, Italy, Merlot, Petit Verdot, Sangiovese, Super Tuscan, Tignanello, Tuscan Wine, Tuscany, Veni Vidi Vino Italy, Vino Da Tavola, Wine. Bookmark the permalink. 6 Responses to What’s a “Super Tuscan”? i guess the lecture i give to all of my friends about chianti / super tuscans (and even champagne) is confirmed. Guess it depends on the lecture? 😉 Chianti is a pretty complicated subject (merits its own blog for sure)….uncoincidentally the rise of the Super Tuscans came around when mediocre Chianti’s were being over-produced and their reputation is actually still recovering from that period… I won’t say anything bad about Champagne: it’s a classic, well-made, and no-expense spared kinda bubbly, hence the high price tag on it. But i will say that there are some equally as interesting bubblys out there….for example Italy’s Franciacorta (traditional method sparkling wine).